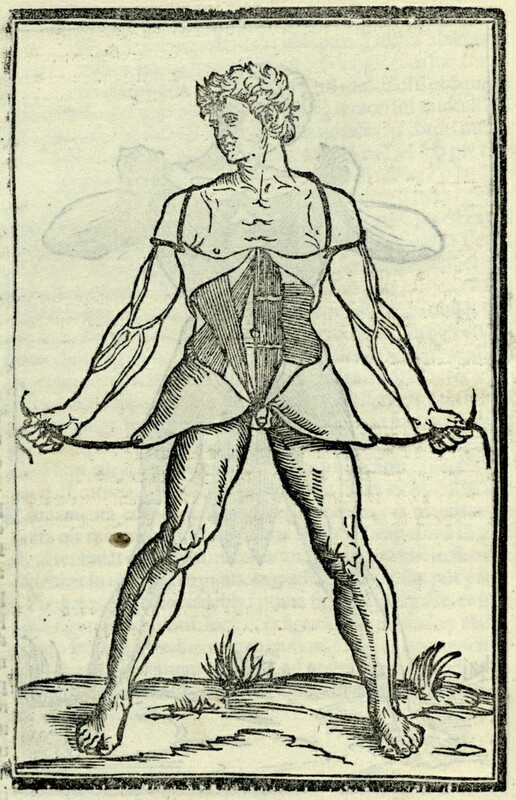 Anatomical diagram of a full-length male figure with skin peeled back to reveal the abdominal muscles. Title from NLM Images from the History of Medicine. Berengario da Carpi, Jacopo,approximately 1460-approximately 1530 and Carpi, Ugo da, 1480-approximately 1532, “Abdominal muscles ,” The College of Physicians of Philadelphia Digital Library, accessed April 24, 2019, https://www.cppdigitallibrary.org/items/show/2204.